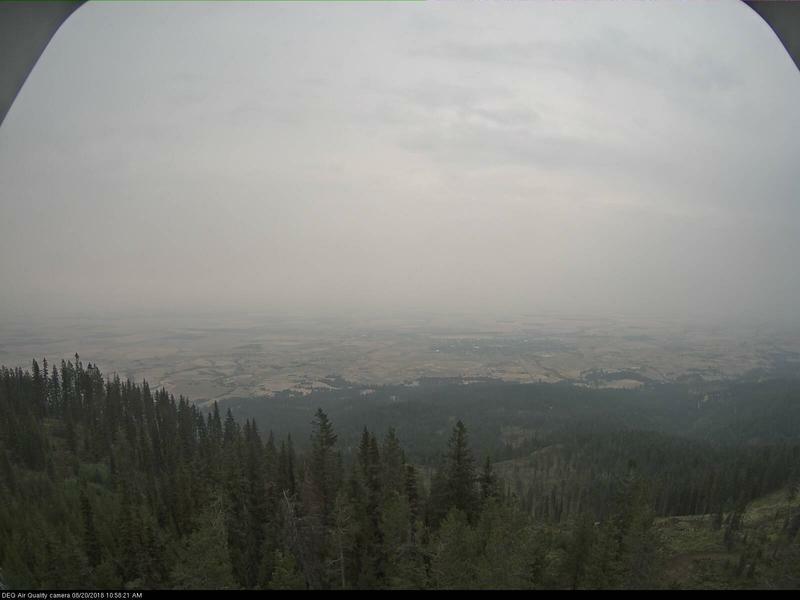 A thick blanket of smoke hangs over Boise's Table Rock and almost entirely erases the foothills. Wildfire smoke is continuing to foul air quality around much of the state. Monitoring sites in Twin Falls and Nampa both recorded levels of pollutants at an unhealthy level this week. Experts say concentrations of smoke can vary widely by time of day. Cooler temperatures are synonymous with especially bad air quality. At sunset, as temperatures start to go down, smoke starts to sink from the atmosphere to the ground. Mike Toole, the Boise regional airshed coordinator for the Department of Environmental Quality, says once the smoke settles in it can actually act like water. Air quality monitors have seen pronounced differences between midday smoke readings and those taken in the late evening. 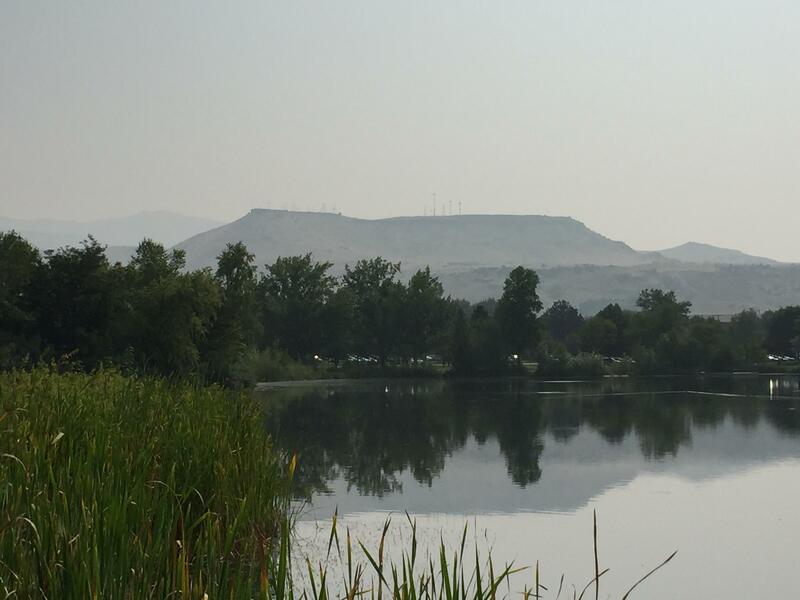 In the pre-dawn hours, Toole says Treasure Valley air registered in the red, unhealthy zone this week. According to Toole, a pair of low pressure systems are heading toward Idaho and could provide some relief. “We’re cautiously optimistic those may help, but until they actually come through the area and we see how strong and what they’re going to do, it’s kind of a coin toss right now,” he says. Complicating the toss up: Toole says a low pressure system that passed through the Treasure Valley earlier this week actually brought more smoke to the region. Fires across Idaho are burning and creating smoky conditions in some regions. But the smoke from Gem State fires is just one reason for the haze blanketing much of the state. Everybody loves a late-summer outdoor wedding, and what is a better setting than the natural splendor of the Gem State? 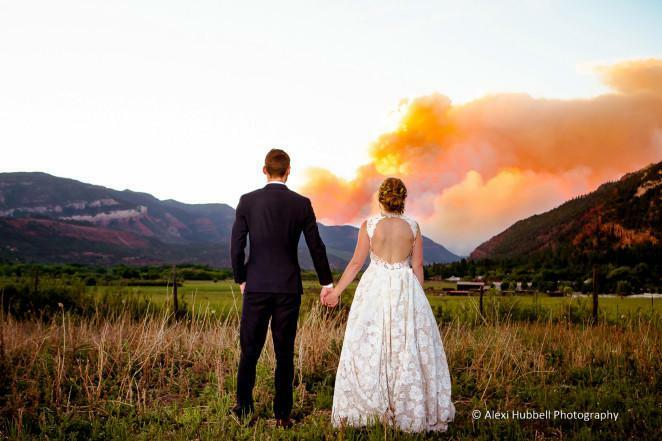 The smoky haze from the region's wildfires are filling up the skies, though, and couples are worrying about the health of their wedding guests. Might there be a grey haze in all the wedding photos?